The 2018 CAMS Australian Rally Championship (ARC) hits the halfway mark with round three at the Netier National Capital Rally in the forests surrounding Canberra this weekend. Championship leader Tankformers’ Eli Evans will again line up in the super quick Skoda Fabia R5 – the car he and co-driver Ben Searcy drove to victory at Western Australia’s Make Smoking History Forest Rally in April. The pair dominated round two of the CAMS ARC, claiming 15 of 19 stage wins along the way, and they plan to continue on the same path in Canberra. 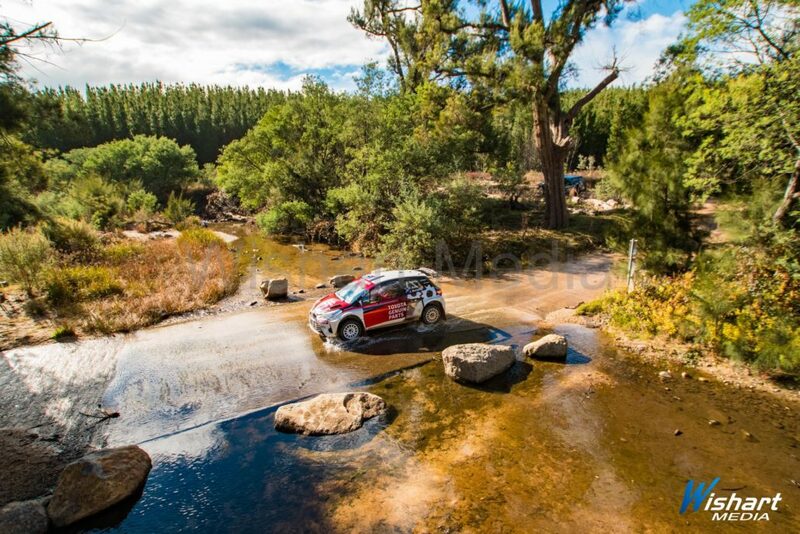 “We started the Forest Rally with so many unknowns with the car and had a good result, now we know the car we plan to continue the speed and keep on the same game plan as Perth,” said Evans. With this weekend’s Netier National Capital Rally also playing host to the FIA Asia Pacific Rally Championship (APRC), and the APRC and ARC fields combined for the first time, Evans has his sights set on overall honours. Evans can expect strong competition from hometown hero Harry Bates, who will be the first of the ARC crews on the road. Bates and co-driver John McCarthy will be keen to repeat last year’s National Capital Rally win, this time in the Toyota Genuine Parts Yaris AP4. “Definitely keen to get the win of course. I think the event will be quite different in the Yaris, especially on day two where the roads are tight and narrow,” Bates said. Tasmanian Steve Glenney is sure to be in the mix again after two second place podium finishes in the first two ARC rounds. He will be closely followed by Michael Harding and James Thorburn in their Spec C Subaru WRX STi, making their 2018 ARC debut at their home event. Subaru do Motorsport’s Molly Taylor has made it clear nothing less than a podium finish will do in the nation’s capital for her and co-driver Malcolm Read. “After getting on the podium in WA, we’re keen to repeat that ASAP and it’d be great to pass the half-way point of the season in the top three,” said Taylor. Taylor will no doubt be keeping a close eye on another competitor – her mother, Coral Taylor. The Australian Motor Sport Hall of Fame member will make a highly anticipated return to the co-driver’s seat alongside local Lewis Bates in the Neal Bates Motorsport Toyota Corolla S2000. Taylor replaces regular Dale Moscatt who will miss this round due to injury. Kosciuszko Automotive Rally Team’s Andrew Penny is another who will have a keen interest in another competitor – Queensland young gun Wayne Morton, who will be piloting Penny’s rare Subaru WRX STi GC8, with Penny’s daughter Kirra in the co-driver’s seat. Penny made the generous offer to loan the car to Morton and Penny after it looked like engine failure in heat two in WA had ended the pair’s 2018 ARC campaign – lack of time, parts and funds had grounded Morton’s Toyota Corolla S2000. Based in Jindabyne, the Netier National Capital Rally is as close as Penny gets to a local event and it’s one he loves. “Canberra is fantastic, it’s two rallies in one. One half super fast and smooth and then day two is a bit rough and technical, not as fast, but tight and twisty. Leading the APRC field will be New Zealand driver Mike Young, with Aussie co-driver Scott Beckwith, in the CUSCO Racing Toyota Vitz – essentially a Yaris – setting up a much anticipated showdown with Bates’ Yaris AP4, the cars build from the same shell to slightly different regulations. Young will be followed by teammates Yuya Sumiyama and Takahiro Yasui who will pilot a Skoda Fabia R5 and Fabio Friserio and Jordi Barrabes Costa, lining up in a Peugeot 208 AP4. Competitors in the Tech Workz ACT Regional Rally Series will also battle for The Mike Bell Trophy, a multi-club event named in honour of one of Australian rallying’s most loved competitors and administrators. The Netier National Capital Rally kicks off on Friday afternoon with a ceremonial start from 4pm at Garema Place in the city. Saturday’s heat one is focused around the Kowen Forest area east of the city, before moving to the west of Canberra on Sunday for the narrow, technical stages off Brindabella and Paddys River Roads.